Since I’ve been on this gluten and refined sugar free eating lifestyle, I’ve been doing a lot of research. I’ve also added fat back into my life, specifically coconut oil and olive oil, a little sesame oil, and of course the fat in things like butter and meats. These make foods a lot more filling and satisfying. From what I’ve read, I’m convinced that part of what is making people obese is avoiding fats (which the body needs), and replacing it with processed foods and grains (which often have sugar added to make up for the lack of fat.) In fact, it seems that you can correlate the current spike in obesity with the beginning of the lowfat/high grain craze. Now of course all foods should be consumed in moderation, and this goes for fats as well as everything else. But I wanted to share with you some of the things I’ve learned about oils that have worked for me. Canola Oil: From what I have read, this heavily touted “healthy” oil is anything but. First of all, it’s heavily genetically engineered. Personally I try to avoid foods that are science projects. After all, that’s what has caused such harm with wheat, and new research is finding that our heavily genetically modified corn crop caused MASSIVE tumors in rats. No thank you! Then add to this how it’s produced: they use solvents to extract it (and these are still present in the end product), deodorize it (which causes most of the Omega 3’s to become rancid) and hydrogenate it (turning it into trans fats). There is still science to be done to determine the safety of canola oil, but it’s certainly not one I choose to use. Olive Oil: Olive oil is a great choice for cooking, and one that I use often. It’s important to note, however, that not all olive oil is the same. Apparently in Italy, olive oil is one of the biggest rackets going. MANY brands of olive oil are cut with cheaper oils (including canola), and then sold as pure olive oil. This post describes more about this. When I did the “fridge test” described in the post, I was shocked to discover that the “good quality” olive oil I thought I was buying turned cloudy! I took Mark’s advice and looked for olive oil produced closer to home. 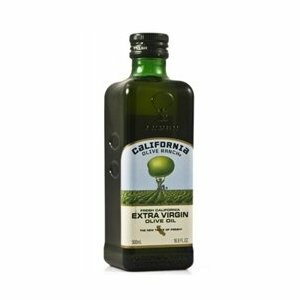 I found a California olive oil that I love, and I was SHOCKED at how different…and delicious…it tastes! Really fruity. Coconut Oil: Coconut oil is a new love of mine, and one I discovered when researching this new lifestyle. It’s been used forever and is super healthy for you. The flavor is slightly sweet, and does not give off a strong coconut flavor. Depending on the temperature you live in, it may be solid or liquid (but it’s a simple thing to liquify it by microwaving it or putting it over low heat for a couple minutes on the stove.) I love the flavor that vegetables and meat take on when cooked in coconut oil, and it’s a fabulous oil for baking. Do note, however, that you have to keep the temperature fairly low when cooking with coconut oil on the stove. Medium heat is about the highest you can go, or it smokes terribly. Also note that it’s NOT great for pan greasing. I find that it doesn’t provide a non-stick coating as well as olive oil or butter do. 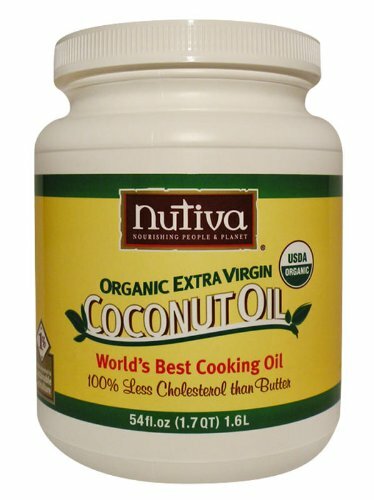 I buy my coconut oil online at Amazon with free shipping, because it’s most cost effective. 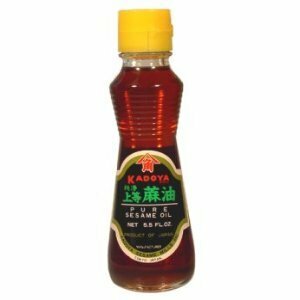 Sesame Oil: I’ve actually used sesame oil for years because I live in an Asian household, and it’s a staple for creating authentic Asian flavors. However it also seems that there are a whole host of health benefits to this oil. You can read about them here. I usually use Sesame Oil in small quantities, because the flavor is quite strong. But it adds a wonderful nutty flavor to dishes that my family loves. Here’s the brand my family buys at the Asian Market. It’s also available on Amazon. Butter: If you want buttery flavor, please use the real stuff and not a science experiment (i.e. skip the margarine!). I absolutely love the flavor of grass-fed organic butter. It melts well, lends an amazing flavor to dishes, and simply can’t be replaced by substitutes. We don’t use a ton of butter in our dishes (often just using it for finishing a dish) but it’s a great fat to have on hand. And your body needs a certain amount of saturated fat. What causes heart disease etc. is inflammation in the body. And inflammation is caused by…you guessed it…the white stuff: flour, sugar, etc. I have to tell you that since we’ve added fat back into our diets, food just feels more satisfying. Plus it’s filling. I’m dropping weight without really trying, but I’m never hungry! It seems like my body just knows it’s getting the right foods now, and fat is a part of that. What fats do you include in your cooking? Would love to read your thoughts in the comments below. This entry was posted in Healthy diet and tagged butter, coconut oil, fat, grass fed butter, healthy fat, oil, olive oil, sesame oil. Bookmark the permalink.